Here’s what’s required for each. 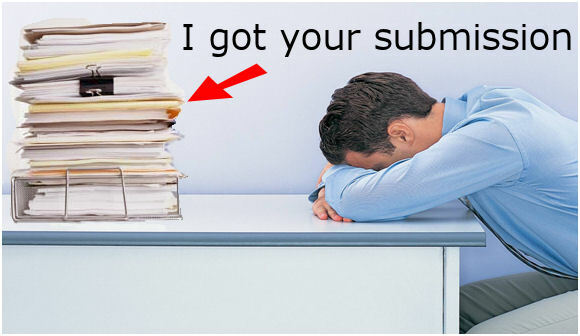 It’s been suggested that agents accept as few as 2% of submissions. They receive hundreds of manuscripts per week to look at. Put yourself in their place. How would you feel, presented with this amount of material to read through? Whatever you can do to make it easy for them is worthwhile. Indicate scene breaks with a blank line, then centering one of the following: —, *, or ***, followed by another blank line. The page header should contain: Last name/title/page number, for example: CHAPMAN/Immortality Gene/1. At the end of a chapter, insert a page break, and start the next chapter on a new page. At the end of your text hit Return, then center ‘Sample End.’ Do this so you don’t leave the agent wondering if they have read all the pages or not. It’s not always obvious to an agent when they’ve reached the end of a story sample. If you want to show thoughts, remote side of a telephone conversation or emphasis on a word, use italics. Use a single space at the end of a sentence; double spaces went out with typewriters. Do you have ‘widows’ and ‘orphans’? A widow is a single line of a paragraph which appears on a page on its own at the end of a chapter. An orphan is a single line of a paragraph at the bottom of a page. Often you can fix this by adding or deleting words in an earlier paragraph or by using Word’s ‘keep together’ feature. To use it, right click in the ‘orphan’ and choose ‘Paragraph’. Select the ‘Line and Page Breaks’ tab and make sure ‘Widow/Orphan control’ and ‘Keep with next’ are both checked. Turn on the Show/Hide. Are you using two return characters at the end of paragraphs? You shouldn’t need to do that if you have set a paragraph first line indent. But if you prefer a space between paragraphs, then change the paragraph style in Word to use space before and space after settings. Such a style is often used in non-fiction books. Is your text fully justified? If so is the last line of each chapter displayed properly? If there is a problem add an extra return character at the end of the chapter. Do you need to hyphenate a word to get the line looking right? If so, in Word, use Ctrl hyphen at the location you wish it to appear at. This inserts a soft hyphen which will be removed if the text is reformatted. E-books require a slightly different format to printed books. You need to be aware that some features are not available or not quite the same in an e-book. Your e-book should not have the same opening pages as a printed book and must contain a table of contents – even if that’s just Chapter1, Chapter 2… e.t.c. 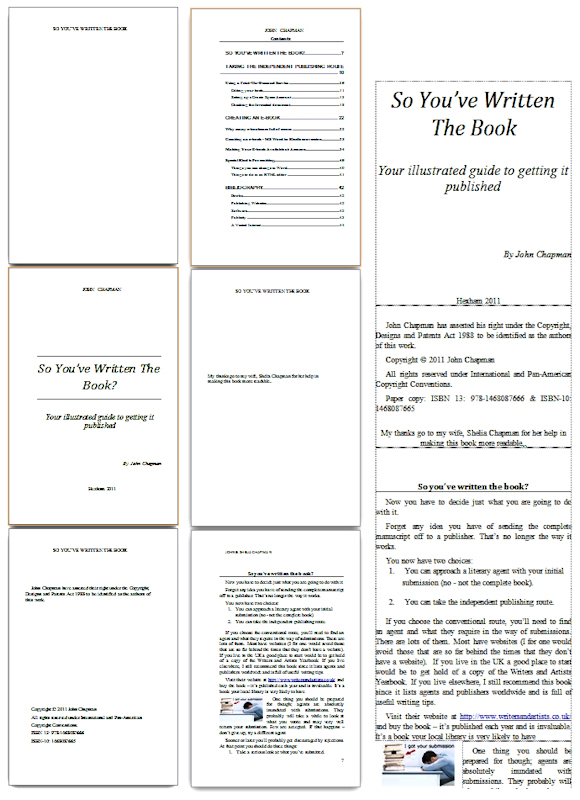 As you can see six pages from the paperback have been compressed into three pages for the e-book copy. Change the style to use no bigger than 18 point text. Remove this entirely if you plan to use Calibre to produce the file necessary for creating a Kindle book. Calibre does a better job than Word of creating a table of contents. If you plan on submitting a Word file to Smashwords you will need to leave Word’s contents page. Smashwords will accept a file produced as an epub by Calibre though. Remove these. The easiest way to do this is to use the File tab > Check for Issues > Inspect Document. Select everything and use the ‘Remove all’ button on everything found. Keep fonts used to a bare minimum and use only one size of text for your main body style. You’ll often find that it’s easier to remove all styles completely and then go back and apply heading style 1 to chapter headings. You should either set the ‘normal’ style as either indented or to use space before/after paragraphs but not both. The only exception being the first paragraph after headings or section breaks which as previously described should not be indented. Many e-book readers still don’t support tables. If you need one in your e-book then you may have to create it as a graphic. Keep tables very simple or they will be unreadable in some readers. Many e-book readers don’t support these. The safest option is to remove them. 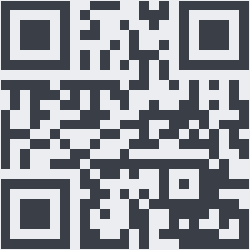 In a printed book it’s useful to use a QR code where an e-book would include a link. They can be scanned with a smart phone far easier than typing in a shortened link. Here’s an example which takes you to my free technothriller when it’s scanned. If this post has proved useful to you would you do me a favour in return? Download a FREE copy of the book I co-author – a romantic technothriller called ‘Immortality Gene’. Even if you don’t read it it will help our ratings. You can get it at http://smarturl.it/avi and if you want to read it, you can use a phone, a tablet, a computer or even a Kindle. Have you seen my posts on editing a book and getting the first line right?